Online gambling has been a controversial topic in politics, and sometimes for good reason. But recently evidence emerged showing that it is completely wrong to regard online bingo games in the same light. While it has always been the case that bingo has never been viewed by reasonable audiences as being a serious problem, many anti-gambling legislators and lobbyists have accused bingo of contributing to gambling addiction and many other similar claims. It illustrates the problem of what happens when somebody is championing a cause. There can be a tendency to jump to unfounded conclusions, or even to fabricate evidence in support of the view they are trying to push. Such things are both foolish and potentially harmful. Of course there is no denying that the bingo industry is huge and makes well over the equivalent of a billion dollars each year in the UK alone, but that has to be seen in perspective. Merely considering the size of the industry and how much profit it makes isn’t a fair test of whether it is a good or bad thing for the public in general. 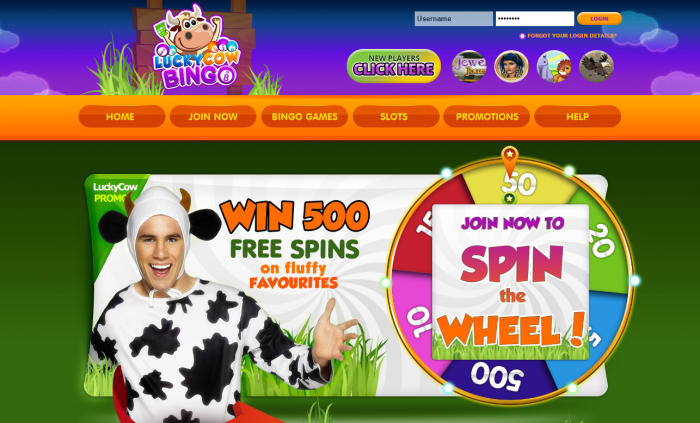 Looking at a site such as luckycowbingo.com shows very clearly just how silly it is to view these sites as predatory. Participants usually see their activity on sites like this as harmless fun, and perhaps also exciting due to the possibility that they may win a big prize. What can be honestly said about bingo is that while it may not always be easy to win, it is always possible to win. And it is a totally fair game, with every player having an equal chance depending on the numbers they get, with perhaps a variable added for skill and experience in playing. But generally speaking, the game is fair and relies to a large extent on luck, as the outcome is determined by the order in which numbers are drawn. The Online Bingo Annual Report for 2016 revealed the results of a survey that looked at the habits of over 1100 online bingo players, which clearly indicate that far from bingo being a problem, it’s more likely providing a safe outlet for people to enjoy a wager without incurring significant financial risk associated with other gambling activity. The survey showed that 20% of players never deposited any money to their online account. This alone is a shocking statistic. They also found that four out of every 10 players deposited less than £25 per month, while 2 in 10 deposited £100 or more per month. These figures would be roughly indicative of a normal wealth distribution, with higher income individuals spending more, lower income individuals spending less, and those in the middle spending somewhere in the middle. This is only logical. Evidence also indicates that the industry is currently quite healthy, even for a low stakes game where prizes are frequently paid out. In fact, the online sector is growing at a steady rate, due to the volume of people using mobile phones. Bingo can be an attractive game to players if it is properly marketed and shown to an enjoyable and interesting way to gamble without being an especially risky or high stakes game.